Native perennial grass based pastures dominate the Northern NSW EverGraze region with nearly half of the area being native grasslands and almost half of the land primarily used for grazing. Most properties have a high proportion of native pastures and many also have areas sown to other forage sources such as improved pastures, lucerne and forage oats. Traditionally, pasture improvement in the area has been based on sown temperate species (annual and perennial legumes and perennial grasses planted in autumn). However, rainfall in autumn is unreliable, increasing the risk of dependency on introduced species for sustained high stocking rates and livestock production in winter and spring on the Slopes. Average stocking rates are 3.3 dry sheep equivalents (DSE) per ha, ranging from 1-2 DSE/ha on unfertilised country to 6-8 DSE/ha for fertilised native pasture oversown with subterranean clover and 10-12 DSE/ha for lucerne and perennial grass-based pastures. Native and natural pastures are dominated by warm-season frost-susceptible grasses, which determine the general structure and characteristics of the pasture community. Also found in these pastures, are a diverse range of other perennial and annual grasses and forbs (weeds and legumes). 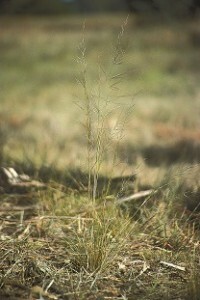 A native pasture is therefore a very complex plant community with up to 100 species being present in a single paddock. Sometimes only one or two species may be very abundant with a few species common, or up to 20 species may be dominant. There is also much inter-and intra-paddock heterogeneity in species composition which is often related to past management and the grazing behaviour of livestock, particularly Merino sheep. 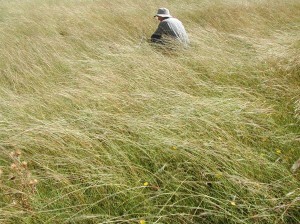 There are about 300 species of grasses that occurring the region. This large number of grass species can be conveniently grouped into two major categories, native (indigenous) and naturalised (introduced). Examples of common species in each group and their reported forage value and drought tolerance are shown in Table 1. On the Slopes and Tablelands native pastures are dominated by redgrass and wiregrass (Table 1), with year long green perennials such as wallaby grass and cool season wheat and plume grasses occurring as sub-dominants. 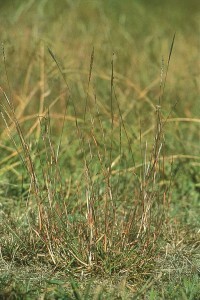 On the Tablelands, weeping grass may also a sub-dominant, although in shaded or fertile situations it can dominate the pasture. In both areas, corkscrew grass can dominate on light textured soils, while on the Slopes bluegrass can be dominant on heavier textured soils. In the more western areas, perennial panic and digit grasses are more common and plains grass (Stipa aristiglumis) can dominate on heavy textured soils. On the Tablelands, winter growth is limited by cold temperatures, with a major growth surge in spring and early summer. Stock carrying capacity varies from 4-5 DSE/ha on native pastures to 10-12 DSE/ha on improved and fertilised pastures. Native pastures are infrequently fertilised, are not considered to be highly productive by farmers and are often grazed by non-breeding stock primarily for wool production. They are generally fenced into large paddocks that are set-stocked (or have short rest periods). Large paddocks lead to patch grazing, causing over-utilisation in some areas which causes degradation of the pasture. Table 1. Species and species groups of some grasses commonly found on in the Namoi Catchment, together with their relative abundance, forage value and drought tolerance. 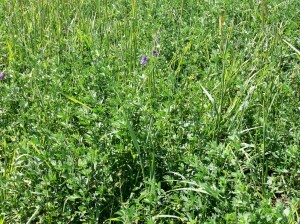 The most commonly sown perennial species is lucerne (Medicago sativa) for both grazing and hay production. In the higher rainfall areas of the Tablelands, temperate grasses and legumes are successfully sown and include phalaris (Phalaris aquatica), cocksfoot (Dactylis glomerata), perennial ryegrass (Lolium perenne), white clover (Trifolium repens) and subterranean clover (Trifolium subterranean). 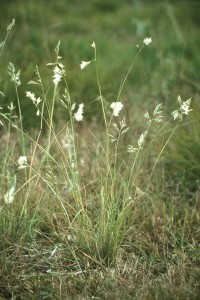 On the Slopes and Plains, tropical perennial grasses such as digit grass (Digitaria eriantha), Rhodes grass (Chloris gayana), panic (Panicum coloratum var. makariariense), and purple pigeon grass (Setaria incrassata) are being sown in an ever increasing area. The sown pastures are used to grow animals out for both beef and sheep meat production. 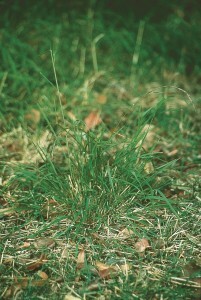 Summer growing grasses, such as redgrass and wiregrass, can grow prolifically in wet summers, but are frost sensitive and so make little growth in winter and early spring, which leads to a lack of green forage in most pastures and a ‘protein and energy drought’ at this time of the year. In most years, summer growing perennials provide mainly low quality feed, suitable for stock maintenance rather than fattening. Summer growing grasses can produce 6-8 t DM/ha of feed in their growing season, but with frosting and low stocking rates, much of this carries over from season-to-season and year-to-year as dead standing material. This limits both stocking rate and the stock type that can be grazed on these pastures with dry sheep for wool production and store cattle being the most common enterprises. The only value of this dead standing material is as a ‘paddock haystack’ in drought and dry times. Figure 1 shows average growth curves for a range of forage types common in the region demonstrating reasonable growth rates from October through to March of the summer active species, and how forage oat can fill the gap during the cool season. Further information on regional growth rates can be found here. Figure 1. 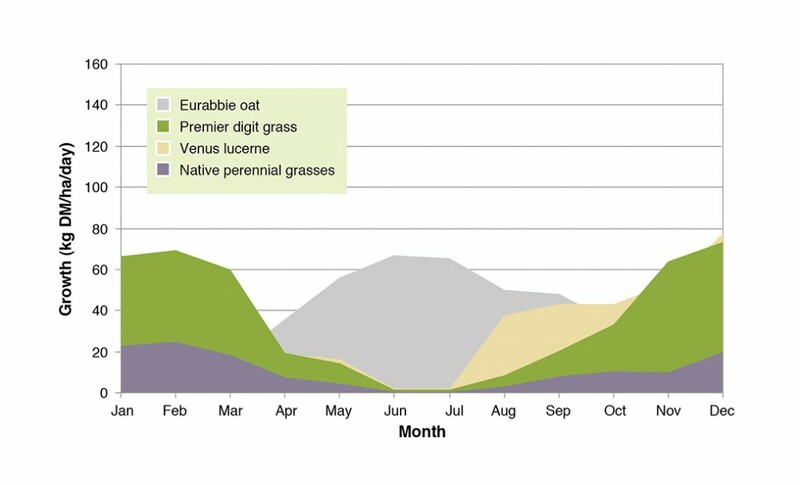 Average pasture growth rates for a range of species on the North-West Slopes. Where possible, getting more out of native pastures is all about integrating their use with other forage sources on a farm and matching forage availability to livestock requirements. Essential to this is the availability of other forage sources and producer skills and knowledge about land capability, property planning, forage budgeting, costs of production and an appreciation of risk (both economic and climate variability). The Tamworth EverGraze Proof Site page provides recommendations for integrating forage sources, using flexible stocking rates to manage seasonal variability and using lucerne grass mixtures for managing ground cover and seasonal feed supply. Summer growing native perennials can produce a lot of biomass over summer, but quality is usually low. Murphy SR, Lodge GM, McCormick LA, Johnson IR (2010) Using growth and dry matter estimates to devise year-round forage systems for the North-West Slopes of New South Wales. In ‘Food security from sustainable agriculture, Proceedings of the 15th Australian Agronomy Conference, Lincoln, New Zealand’. Lodge GM, Murphy SR, Harden S (2003) Effects of grazing and management on herbage mass, persistence, animal production and soil water content of native pastures. 1. 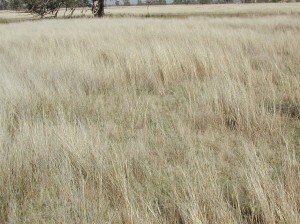 A redgrass-wallaby grass pasture, Barraba, North-West Slopes, New South Wales. Australian Journal of Experimental Agriculture 43, 875-890. Lodge GM, Murphy SR, Harden S (2003) Effects of grazing and management on herbage mass, persistence, animal production and soil water content of native pastures. 2. 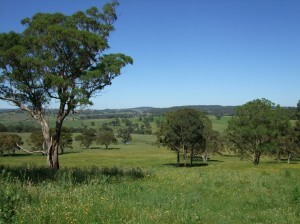 A mixed native pasture, Manilla, North-West Slopes, New South Wales. Australian Journal of Experimental Agriculture 43, 891-905.